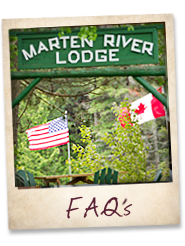 Welcome to Marten River Lodge, a premier fishing and hunting resort located in Northeastern Ontario’s Temagami region catering to outdoor sports enthusiasts, family cottage vacationers and corporate wilderness retreats. 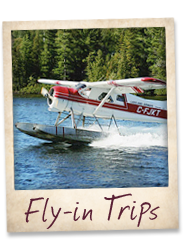 Situated amidst old growth forests and a multitude of pristine lakes with outstanding fisheries and wildlife abound, and just 4 hours north of Toronto (take me to map), MRL has been providing guests with The Ultimate Outdoor Adventure for over 84 years. Steeped in remarkable history and a long-standing tradition of providing guests with outstanding, memorable wilderness experiences, we pride ourselves in helping you create your idea of a great vacation. 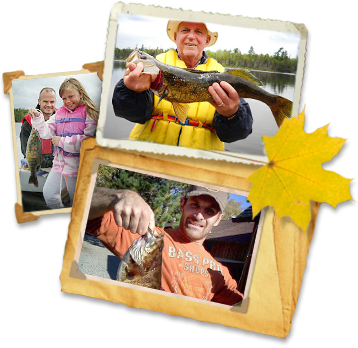 Whether it’s fishing for trophy Northern Pike, Bass, Lake Trout, jumbo Perch or Walleye (Pickerel), hiking or ATVing through our expansive forests, hunting for small and large game, canoeing or just relaxing with a good book, Marten River Lodge offers something for everyone. We specialize in providing All-Inclusive Housekeeping and American Plan packages for family vacations, group events and corporate retreats - everything is included to make your stay with us complete and worry-free. 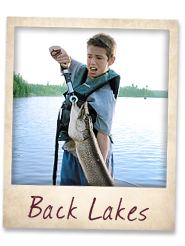 Our guided back-lake fishing adventures are extremely popular and create distinctive memories that last a life time. At MRL you’ll also find free Wi-Fi and excellent cell phone service. 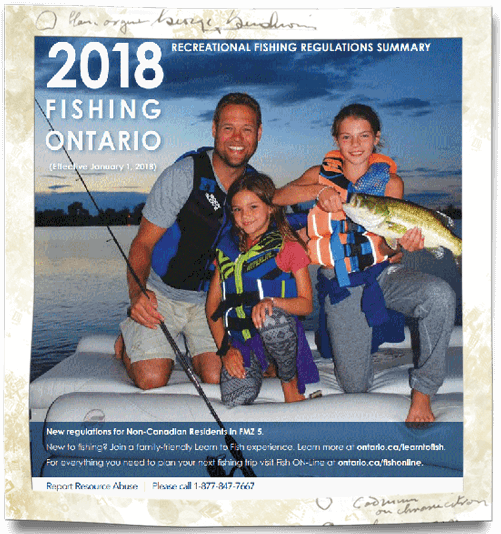 We are blessed with almost 12 acres of accessible waterfront on the beautiful 24-kilometer Marten River waterway and a series of 4 main lakes full of structure for optimum Pickerel, Bass, Northern Pike and Lake Trout fishing. Our guests enjoy both the beauty and serenity of our northern Ontario resort with the convenience of easy drive-to access and nearby amenities. For the more adventurous angler, our remote back lakes are “bucket list” experiences where half the fun is getting there. Situated deep in the Northern bush, it takes an Argo or UTV to get you lakes rarely fished by anyone else! Each Marten River Lodge back lake adventure is designed to offer you the opportunity to land a trophy fish amongst the many that you will catch. 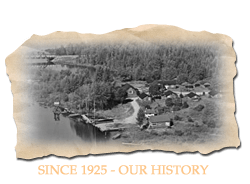 Remember, our municipality of Temagami is just 1906 km square with only 802 people. That means there are approximately 2.38 people per km. Wilderness indeed! 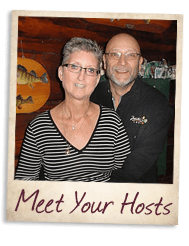 All of our options include the serenity and tranquility that a beautiful Northern Ontario resort can provide - full of old growth forest and teeming with wildlife as diverse as the bush they inhabit. Your adventure becomes an education! For those who want to see more of this magnificent land, we offer guided UTV/Argo tours where our experienced guides can show you the wilderness beyond the highway to experience vistas and terrain most people never see. Whether your interest is flora and fauna, or getting stuck in a beaver pond - we have an adventure for you! For those who desire a more carefree vacation at our Ontario resort, take a look at our All-Inclusive American Plan where all your meals are prepared for you. 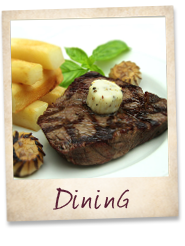 No planning, shopping or packing - we do it all with a talented master chef who understands what a fresh, hearty, and full flavoured meal is. You also get a guided fishing trip with shore lunch included. For the more adventurous, choose our Deluxe or Ultimate Deluxe Plan that include guided remote lake fishing excursions to different lakes each day! 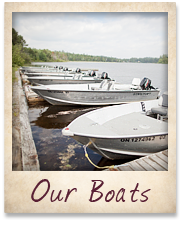 • Comfortable, fully equipped 16 ft. Starcraft fishing boats with Mercury 30HP electric start motors. • New Pmax4 Humminbird fish finders with colour monitors. • Argo Avenger 8-wheel amphibious all-terrain vehicle to get you and your gear back deep into the bush - beyond the reach of conventional ATVs – it floats! • New Honda multi-passenger top-of-the-line UTVs that glide over the roughest terrain so you can enjoy your wilderness tour in comfort with the convenience of a driver. • Free Wi-Fi, wide-screen satellite TV and guest computer in the lodge. 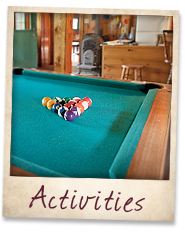 Our Northern Ontario Cottage rental cabins are not new and we like it that way – that’s because they are true Canadiana style - steeped in history, constructed of hand hewed logs - the kind that are no longer built. They were constructed from the resources of the land and designed to last. Our cottages are spotlessly clean and well-appointed with all the necessities. Each cottage includes a large screened porch, potable water, 24-hour heat and hydro, three or four piece bath, fully equipped kitchen with fridge, stove, microwave, coffee maker, toaster, pots, pans, dishes and all utensils to make a week here very comfortable! Check out our accommodations page for pictures and details! Finally, a lodge is only as good as the staff that runs it. We like to think we’ve got the best, because they care about you! As testament to this, MRL was awarded Trip Advisor’s Certificate of Excellence in 2018. Our staff are experienced, engaged, and excited about being here. We all share a common philosophy of service and enthusiasm. We want you back! Obviously, we’re proud of our facilities and offerings and we hope that you will spend some time looking though our website learning more about us and what we offer. 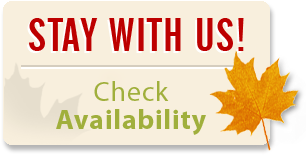 We encourage you to call us for more information and we would be honoured to have you spend your vacation with us.